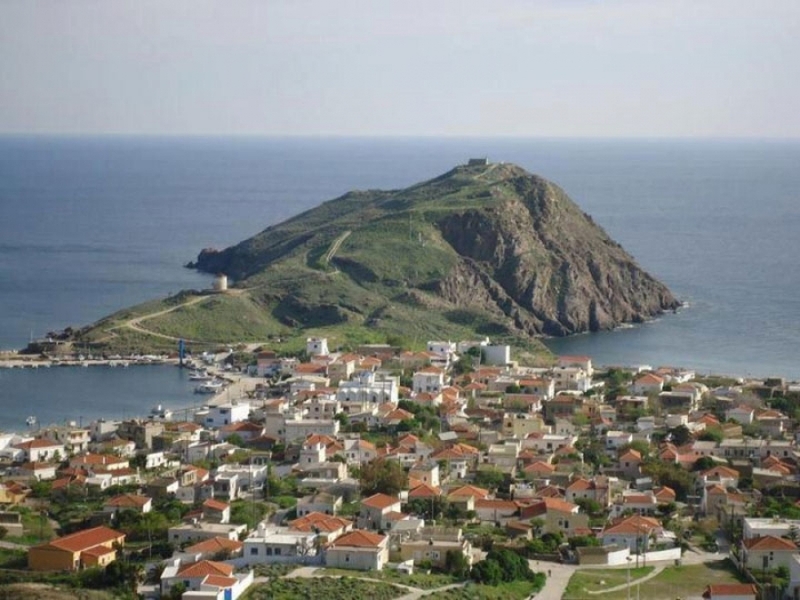 Psara is located on the northwest of the island Chios, it covers an area of 40 square km and its population reaches 422 inhabitants according to 2001 census. It is surrounded by the islets of Antipsara, Agios Nikolaos, Moni Koimiseos Theotokou (“Monastery of Dormition”), Kato Nisi (“Lower Island”), Kalogeroi (“Monks”) as well as Daskaleio with a total area of 15 square km. The only settlement of Psara stretches nearly amphitheatrical around the bay where is the port and the island. 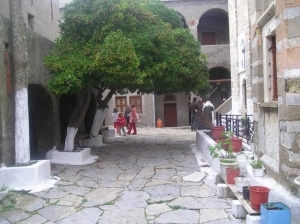 The white two-storey, tiled roof houses that constitute the village, are a typical example of traditional Aegean architecture. The land is barren and there is not much lowland. The largest percentage of the population is at high positions in the Merchant Navy. An important percentage of its residents are engaged in farming and few in agriculture because of topography. 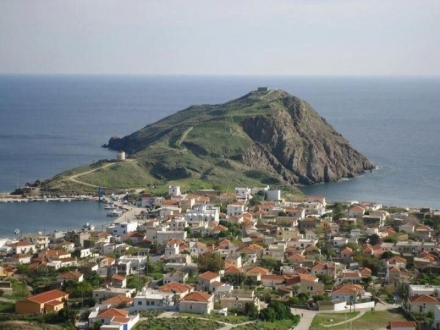 The island is the birthplace of great fighters of the Greek Revolution and one of the largest naval forces of that era. The most important fighters of the island were the great hero Constantine Kanaris, who fired an Ottoman frigate, Admiral Nikolis Apostolis, Dimitrios Vratsanos, historian Konstantinos Nikodimos as well as Dimitrios Papanikolis. Today at Psara you can stroll through the picturesque village on the southwest of the island and visit the homes of heroes which are still preserved. Furthermore, you can climb the rocky hill south of town, where Anthony Vratsanos together with his warriors and their women had fortified and were sacrificed heroically in the attack made by the Ottomans in June 1824, in retaliation for participation in the liberation struggle of Psara. The island is ideal for quiet vacations by the sea. Clean pebbled and sandy beaches are stretching across the island and invite you to enjoy moments of peace and relaxation. During your stay you will have the opportunity to taste fresh fish, lobster, excellent cheese as well as the famous thyme honey of Psara produced by beekeepers of the region, descendants of the legendary Constantine Kanaris.